Federal Indian policy during the period from 1870 to 1900 marked a departure from earlier policies that were dominated by removal, treaties, reservations, and even war. What caused this departure? Was it just that this was the next phase? Previous violence had effectively advanced the agenda to this point to allow 'mopping up' and consolidating the gains that had been won? On February 8, 1887, Congress passed the Dawes Act, named for its author, Senator Henry Dawes of Massachusetts. The dismemberment of tribal land bases has created an enormous range of obstacles to economic development in tribal communities, including those within the Cherokee ation, and has squandered human potential and caused suffering on an immeasurable level. This poetic description of 'dismemberment' is quite graphic and evokes images of slaughter and mass graves such as at wounded-knee. The act of land-redistribution was one of violence and it resulted in destroyed lives and culture as well as somewhat 'indirectly,' the literal death of inhabitants from economic factors as well as increase in crime, violence, alcoholism... I need to take a break and go to work, my objectivity is slipping, and emotion is powerful, but not the best historical lens, especially in an academic setting. Allotment resulted in impoverishment and marginalization, and if desperation was reason to assimilate, then it sometimes caused that, too, although to a much smaller extent than its champions had predicted. It is the isolation from traditional social networks and economic systems such as Buffalo that accomplishes this. I just thought of how I will go to food-service work in an hour and administer 'Buffalo Sauce' and the thought and association made me sick. That people's livelihoods were destroyed so they would be replaced by making practically extinct a magnificent species. And now I use that word every work-day in the context of a pungent smelling, spicy, cowboy/country-western themed hot-sauce condiment. the federal govern-ment sought to compel American Indian people to accept Christianity, the English language, market-oriented agriculture conducted through nuclear family units, Anglo-American social organization, and, even-tually, American citizenship. Here the wall of separation between church and state is explicitly broken. The reason is apparent: the federal government seeks allies among a variety of institutions to aid in the ultimate elimination of native peoples, and total control of land and residents. t was this extended network of relationships and the obligations and hospitality associated with it that brought Lewis Sourjohn to the Chewey area, that account for John and Dora Wolfe's decisions, and that enabled annie to survive the loss of her husband and her farm without ever being destitute or homeless. Here is an effective form of collective resistance that allowed individuals such as Nannie to survive. Without this network, she very well may have perished in this harsh environment, no matter how independent she was. No person survives as an island, which is why Allotment policies seek to isolate and control Native peoples made dependent. To many Cherokees, the old Cherokee Female Seminary building that now stands on the campus of Northeastern State University in Tahlequah remains a symbol of adaptation and progress in a changing, and often inhospitable, world. To others, it remains a symbol of that inhospitable world. Both perspectives are authentic, and neither are mutually exclusive. This is a complex and problematic topic, perhaps it is best that it remains uncomfortable, unsettled, and unsettling, especially in an academic context. In light of the reverence that progressive tribal members felt for the Cherokee Female Seminary and considering the reason for its establishment, it is little wonder that the 211 girls who graduated from the seminary and, to a lesser extent, those who did not gradu-ate but used their seminary education to obtain degrees from other institutions were considered the creme de la creme of the Cherokee Nation. Elevation in social hierarchy becomes equated not with resistance or talent within a traditional Cherokee context, but in the context of white cooperation and submission, with real economic incentives for following the program. Within Cherokee society this restructures the social hierarchy, and alters fundamentally the character and beliefs of the new generation of leaders. This creates division and social upheaval within the community. Two Scenes in Indian Land," Na-Li de-scribes a "wild and desolate" estate of a Cherokee family, composed of "whooping, swarthy-looking boys" and plaited-haired women, all of whom "bear a striking resemblance to their rude and uncivilized hut." Unsure whether the Cherokees could obtain a high level of civilization by themselves, he asserted that "intermarriage will accomplish the purpose quickly. Here the physical features between Anglo Americans and Cherokees are juxtaposed, and are tied to an essentialist view where the physical characteristics are ranked on a hierarchy that encompasses linked traits such as intelligence, morality, civilization, and spiritual purity. Having Cherokee students write material such as this promotes an internalization of racism, and a normalization of accepting their place within this hierarchy. Ostensibly there would be resistance to this, but resistance would be punished, and acceptance would be rewarded, leading 'clever' Cherokees to follow the least path of resistance and receive praise and be rewarded for submission, while the 'stubborn/backwards' Cherokees would 'fail to learn the truth' and be punished. This suggests an Orwellian dynamic of indoctrination and psychological manipulation. It is important to put into context that the real destruction of Native Peoples was far reaching, and that the Boarding School institution did not exist in a vacuum. The real tragedy was a multifaceted, expansive process of genocide, elimination, and replacement... not just allotments and re-education. Context matters to view the Boarding School institution as an agent of cultural violence. 4 With the National Council advocating white education, the traditionalists were continually pressured to adopt a different culture if they wanted to attend the seminary. Here is a good explicit example of how race and culture are tied together in 19th and early 20th century racial paradigms. a mixed-blood senior responded to the administration's concerned query "Full-blood girls to do Shakespeare? Impossible!" by saying, "You don't know [teachers] Miss Allen and Miss Minta Foreman!" implying that these instructors were indeed miracle workers. The internalization of white racism by mixed-blood students represents one of the major consequences of the divisive nature of the boarding school dynamic. In-group/out-group division as different categories are arranged in proximity to whiteness, creating conflict to promote white interests and gain allies in Native destruction and subjugation in the late-game/end-game strategy. I haven't got but 2 letters frame home and one frame you and I have writen 6 letters since I have been here and this is the 7 I aint rooming with no body yet here is the picture of the jail house. A sense of entrapment, definite negative feelings, and involuntary attendance. This is someone who HAS to be here, they don't want to be. The establishment of the Cherokee seminaries created a tremen-dous amount of pride among many Cherokees, but not all tribespeo-ple liked the idea of the expensive schools. This is an interesting way to phrase it. Did it create pride among many Cherokees, or just a select few? The narrative the federal government and the institution, and Indian Affairs would want to portray certainly suggests this, but is it wise to use this type of language today off hand, and is it historically accurate? These names may be useful to remember for researching primary history documents. The seminarian perspective is one that can be viewed as problematic or controversial, because it is wrong to deny their experiences and their unique perspective of individuals benefiting from boarding schools, but it is even worse to deny the tragedy and the cultural destruction inflicted by this institution. This document informs the way Americans have seen themselves since the beginning of the twentieth century. We take on the domestic issues of other nations without being invited to take part. We identify as the prevailer of freedom and democracy when these are just ideals that we aspire to, sometimes missing the mark just as terribly as the nations we seek to guide and coerce. 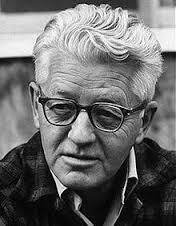 Wallace Stegner in an American author, environmentalist, and historian who grew up in the western part of the country where most of his writing was focused. He wrote about his life moving around the western states and growing up with nature having an important role in his life. Berger is quoting from Stegner's Wilderness Letter that he wrote in 1960. This quote is a good reflection of what Stegner's message was. Even though Stegner was a writer, he was an avid conservationist that was vocal with his beliefs. Once place Stegner lived was in Salt Lake City, Utah. He attended the University of Utah there and received his B.A. in 1930. Stegner continued his academics at the University of Iowa where he got his doctorate in 1935. Stegner went on to write Pulitzer Prize winning Angel of Repose in 1971 and National Book award winning the The Spectator Bird in 1976. Stegner's legacy as a writer and a conservationist can be seen throughout the places he lived. At the University of Utah the Wallace Stegner Prize in Environmental or American Western History was established in 2010. This award shows the lasting impact of Stegner's life on the subject. Stegner writes "Something will have gone out of us as a people if we ever let the remaining wilderness be destroyed." Stegner is one of the fathers of the conservation effort of the wilderness in the United States and it is appropriate that Berger quotes him here. Stegner, Wallace. "Earth words." Mother Earth News, August-September 2004, 128. Global Reference on the Environment, Energy, and Natural Resources (accessed May 6, 2017). http://find.galegroup.com/grnr/infomark.do?&source=gale&idigest=6f8f4a3faafd67e66fa023866730b0a1&prodId=GRNR&userGroupName=bucknell_it&tabID=T003&docId=A119782042&type=retrieve&PDFRange=%5B%5D&contentSet=IAC-Documents&version=1.0. In this context, Berger is using the Wilderness Act to reference how wilderness is defined. This is a very famous definition for the eloquent way the wilderness is described. "A wilderness, in contrast with those areas where man and his own works dominate the landscape, is hereby recognized as an area where the earth and its community of life are untrammeled by man, where man himself is a visitor who does not remain.” After many drafts and eight years of work the Wilderness Act was signed in 1964 by President Lyndon B. Johnson. Since the passage of this act there has been much debate about what land is "wilderness" and what should be done with this land. The main reason for the act is to protect these lands from development and industrialization. 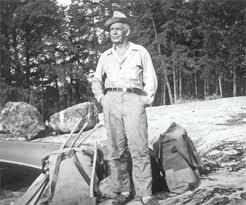 But another part of the reason was to increase recreational use of this land such as hiking, canoeing and fishing. "Over the decades an obvious contradiction has emerged between preservation and access." The National Forest Service is reluctant to put up signs and other infrastructure in these areas because it goes against the foremost goal of this act. Unfortunately, this is causing safety concerns for recreationists. Overall the Wilderness Act has made over 170,000 square miles into "wilderness" and has protect this land for the last half century. Gourlie, Don. 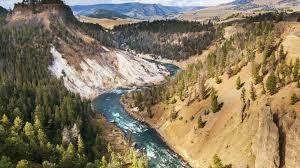 "The Wilderness Act at 50." Environmental Law, Spring 2014, 285+. Global Reference on the Environment, Energy, and Natural Resources (accessed May 6, 2017). http://find.galegroup.com/grnr/infomark.do?&source=gale&idigest=6f8f4a3faafd67e66fa023866730b0a1&prodId=GRNR&userGroupName=bucknell_it&tabID=T002&docId=A375290680&type=retrieve&PDFRange=%5B%5D&contentSet=IAC-Documents&version=1.0. Sequoia National Park is a large land reserve in southern California which is home to the Sequoia National Forest. 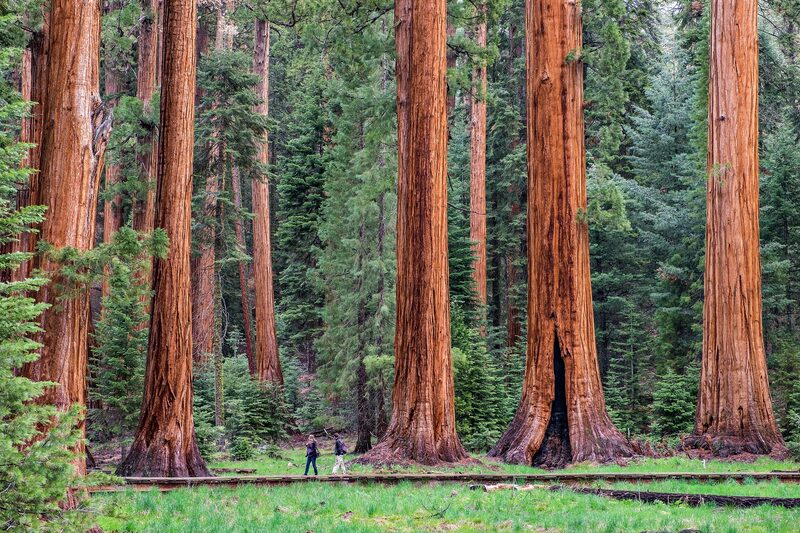 This forest is home to five out of the ten largest trees in the world and contains the single largest tree known as the General Sherman Tree. General Sherman stands at a whopping 275ft and a 14ft diameter at the middle of the tree. Sequoia National Park was founded in 1890 and was part of the initial effort to create more national parks to conserve the different habitats and ecosystems in the United States. The mission of the national parks was to bring awareness of the beauty of our environment. National parks were created to have designated areas that were set aside for humans to enjoy in a natural state. This concept still holds true today in parks as research shows "that this wilderness, in contrast to where most visitors live, is highly valued for clean air and water, natural sounds, low density of people, lack of motorized noise, and where evidence of human influence is relatively unnoticeable." Sequoia and other national parks around it are a large source of eco-tourism in the area. Eco-tourism is becoming a more prevalent force in the world today and some countries such as Costa Rica have much of their entire economy built on it. Watson A, Martin S, Christensen N, Fauth G, Williams D. The Relationship Between Perceptions of Wilderness Character and Attitudes Toward Management Intervention to Adapt Biophysical Resources to a Changing Climate and Nature Restoration at Sequoia and Kings Canyon National Park ](http://insert-your-link-here.com))mber 2015;56(3):653-663. Available from: GreenFILE, Ipswich, MA. Accessed April 25, 2017. Alexis de Tocqueville is a French politician and historian that is best known for his work, "Democracy in America". Tocqueville wrote this piece with two volumes in 1835 and 1840 after visiting the United States. He traveled around the country making observations on American society compared to his European standard. His work focused on the many aspects of US government and policy ranging from manifest destiny to slavery. A major part of de Tocqueville's work was his study of the different races and how they interact. He drew the picture of America "where three typical characters predominate: the black who suffer in slavery, the Indian who is free in idleness, and the white American who is at work and at work. Profit." Tocqueville focused on other parts of American society as well that Berger references at this part. Here, Berger is quoting a section about how American's drive for expansion led to the destruction of the environment which. Tocqueville was a revolutionary with this observation as he was one of the first people to document the devastation that industrialization can bring to the natural world. Over the next decades this idea would be adopted by many including Theodore Roosevelt and lead to the creation of National Parks across the United States. Berger is using this quote because this idea is still extremely prevalent in the conservation effort today. Berger concedes that expansion of technology and industrialization is inevitable but that sometimes the cost of this advancements is not worth the punishment to the environment. Tocqueville's observations are still major issue in developing countries where massive industrialization is just beginning. Denys Delâge and Catherine Desbarats and Jean-Philippe Warren. "Alexis de Tocqueville in" wild "country." The Tocqueville Review / La revue Tocqueville 36, no. 2 (2015): 175-204. Https://muse.jhu.edu/ (accessed April 17, 2017). The frontier has for a long time been an essential part of the identity of North America. In the United States, after the French and Indian Wars, people rapidly began to move out West on the "frontier" to create better lives for themselves. They saw the frontier as a land of great opportunity. Especially in America, there was so much fertile land that people would be able to move out westward and own massive areas of land to start agriculture on. But the frontier has also had many different motifs in the development of North America. The frontier was a very difficult place to live. Before the French and Indian Wars, white people on the frontier would constantly be harassed or even killed by Native Americans protecting their land. The frontier was also miles away from any substantial civilization so families were pretty much all on their own out there. It was seen as an area of grit and masculinity. Historian Frederick Jackson Turner talks about how the frontier was crucial to the development of American culture. He says that, "this perennial rebirth, this fluidity of American life, this expansion westward with its new opportunities, its continuous touch with the simplicity of primitive society, furnish the forces dominating American character." While here I focus on the expansion westward, the "frontier" extended both northward and southward. When people began to move to westward and northward into Canada, it had already been done before in America. This led to pre-legislation and treaties with the indigenous people that allowed for easier transitions and avoid creating another "Wild West". Turner, Frederick Jackson. The frontier in American history. New York, NY: Henry Holt and Company, 1935. The dust bowl is a geographic region in the United States centralized in the panhandle of Oklahoma and northern part of Texas that extends to surrounding states like Kansas and New Mexico. The dust bowl is infamous for experiencing a severe drought for almost a decade in the 1930's. In addition to the drought, decades of poor farming practices led the top soil to be overused and low in nutrients. Because of these compounding problems, crops were not able to be grown in this region which forced tens of thousands of farming families to move away. The drought in the dust bowl could not have come at a worse time as it occurred during the Great Depression. 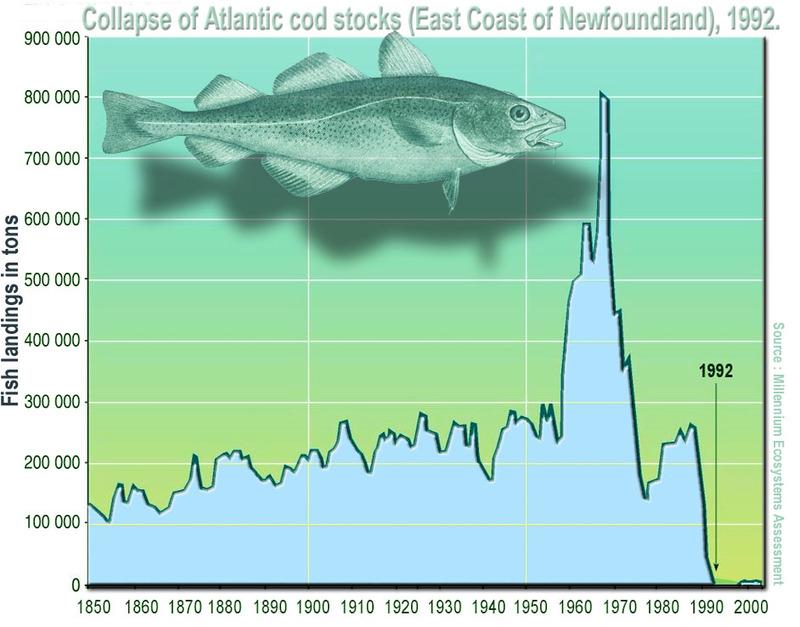 With an already struggling economy, food supplies were severely reduced nationwide leading to even more struggle. 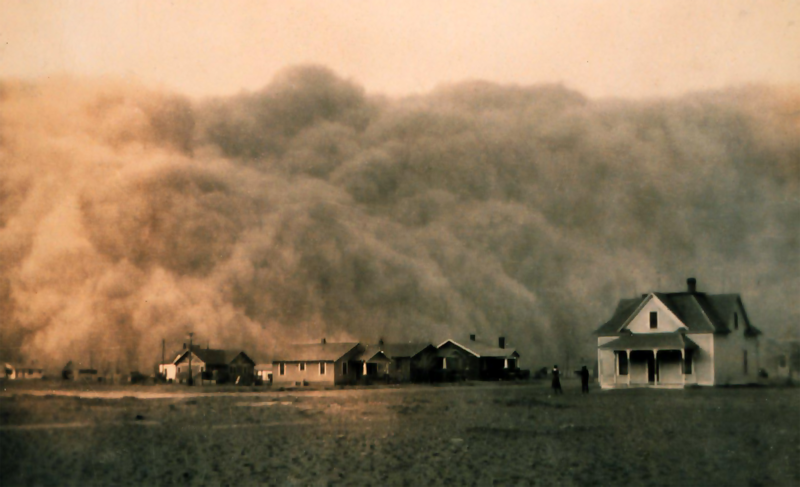 "This convergence of geophysical and anthropogenic factors conspired to create what is arguably the most severe long-term human ecological crisis the USA has seen.” An iconic part of the dust bowl were the intense dust storms that were experienced because of the loose top soil and high power winds. These storms were know as black blizzards as they covered the sky in dust and blackened everything. These dust storms reached all the way to areas of the East coast. Porter, Jess. 2014. "What was the Dust Bowl? Assessing contemporary popular knowledge." Population & Environment 35, no. 4: 391-416. GreenFILE, EBSCOhost (accessed April 10, 2017). In this sentence, Berger refers to how transport and industrial activity expanded heavily over this time period when many Americans were moving out west. This is a massive part of North American history because of the opportunities it opened up for rich and poor people alike. The first railroads in North America were established in the 1820's and quickly altered the face of life on the continent. The rapid expansion of the railroad industry led to the development of other industries like oil and steel. For a time in the 19th century these were the largest economic factors in the United States and whoever controlled these essentially controlled the country. However, Berger here is referring to the opportunities that railroads opened up for expansion across the west and north. The incredible development of railroads made travel to the west coast of America much easier than it ever was before. This changed the idea of the "frontier" in many people's mind. Because travel was much easier, the idea of the west in North America being a rustic and dangerous environment changed overtime and culminated in western economic opportunities like the Gold Rush. "Gold discoveries in the Far West preceded the gold rush of 1849 and encouraged migration from eastern cities." As western movement became more and more popular, the idea of a pristine, wild, and natural American west began to fade. The idea of a getting rich quick from the California Gold Rush was translated to the Klondike Gold Rush in the Yukon of Canada in 1896. 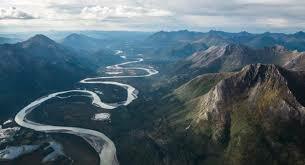 This had similar affects on how people viewed the Northwest region of Canada and its wilderness. "Railroad Promotion and Economic Expansion at Council Bluffs, Iowa, 1857-1869." Annals Of Iowa 42, no. 5 (Summer1974 1974): 371-389. America: History and Life with Full Text, EBSCOhost (accessed April 6, 2017).